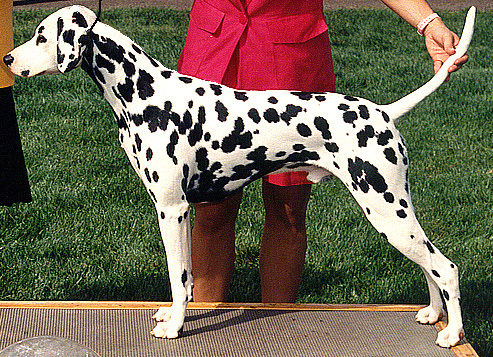 Ranger finished his championship novice-owner handled with a WD at the Greater St. Louis Dalmatian Club Specialty and a RWD at the Twin Cities Dalmatian Club Specialty. He earned his Companion Dog obedience title with scores in the 190's. Ranger competed in the 10 years and older veteran's dog class at the 2004 DCA National Specialty and was the picture of health just weeks before his unexpected death.